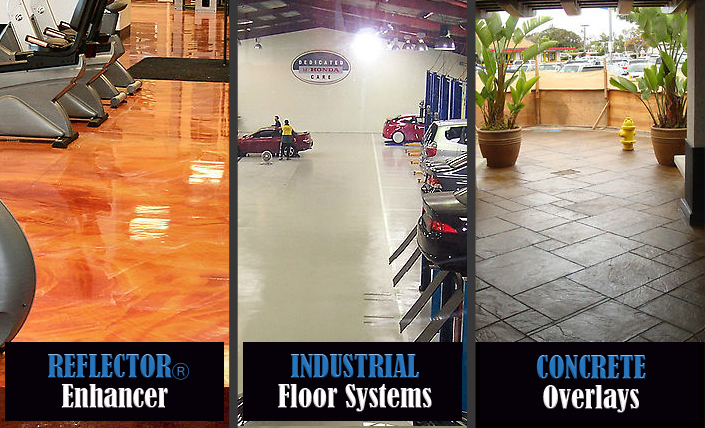 Concrete Overlays & Seamless Floors is a highly experienced installer specializing in the beautification and restoration of existing concrete surfaces. The systems we install can be performed on old or new concrete surfaces. Whether you are looking for an alternative to the high costs of removing and replacing your concrete around your property, or just beautifying your concrete outdoors or on your interior floors. Copyright © Concrete Overlays & Seamless Floors. All Rights Reserved. Website managed by Accurate Computer Consulting.